No matter the condition of your teeth and gums, we can have you proudly smiling again. If you have various worn, broken or missing teeth, full-mouth rehabilitation might be needed to return your smile to total health and beauty. With full-mouth rehabilitation, which is also known as an extreme smile makeover, all of your teeth are either restored to health or replaced. A full-mouth rehabilitation not only creates an aesthetic, healthy smile by restoring the size and shape of your teeth back to their original form, it also enhances your bite by restoring its ideal function and occlusion. Plus it improves overall facial appearance and self-confidence, as well. Let our doctors replace what is missing and put back what has worn off. 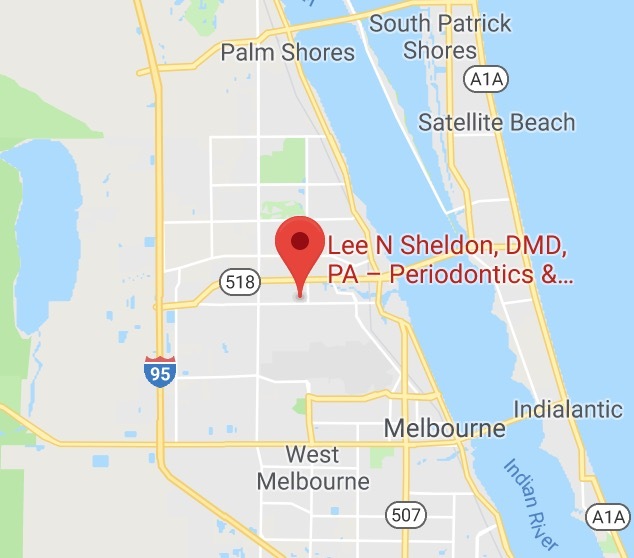 We have been practicing dentistry for over three decades and have advanced training and hands-on experience doing a variety of life-changing full-mouth rehabilitation procedures. 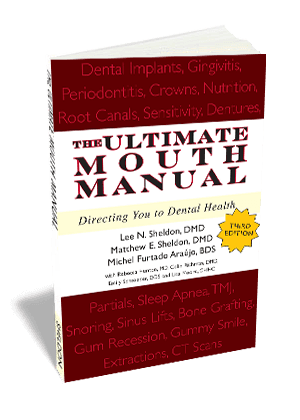 Your full-mouth rehabilitation can improve not only your smile and how effectively you speak and chew your food, but your self-assurance as well. Full-mouth rehabilitation is one of the most complicated treatments a dentist can do. Our experienced and highly-trained doctors know exactly when to do what and the “why“ behind it all. Our team can give you a new smile that you will be proud to show off no matter how complicated your current dental condition is. Plus we’ll do all of this using the most conservative and minimally invasive high-tech techniques and while preserving as much natural tooth as possible. 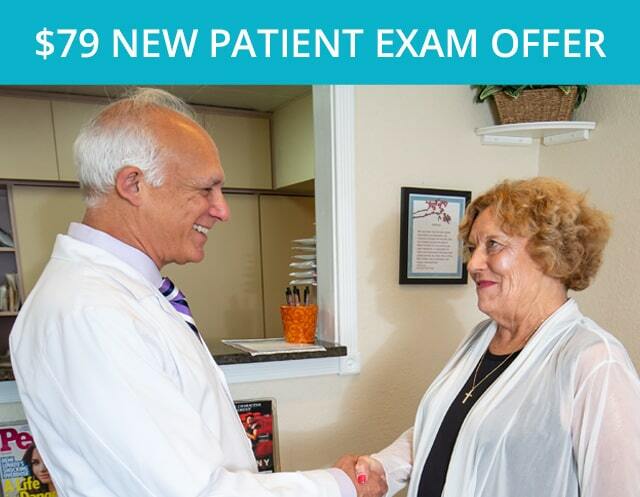 Our doctors help people relax with their friendly manner and caring attitude. 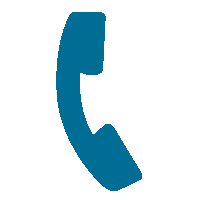 We will listen to what you have to say, answer your questions and discuss all your options with you. 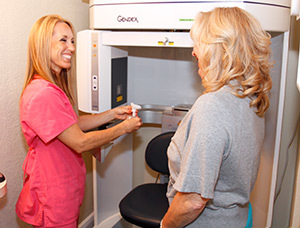 Patients especially like how gentle we are in our high-tech smile rehabilitation treatment. 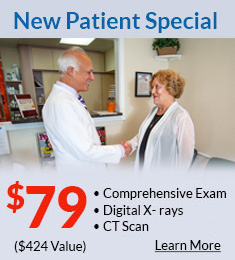 And you'll be glad to know you can split up the treatment over time so it's more affordable for you. 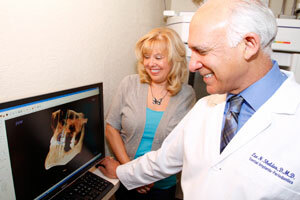 One of the first steps is getting full 3D images of your mouth so we can see the condition of your teeth. No matter how many smiles we have helped perfect, we are well aware that each case needs to be customized to the patient. After all, everyone is different and therefore has unique needs. During your exam we will find out exactly what you’d like to change about your smile. 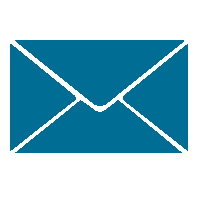 We want to make sure we know what's important to you before recommending any procedures. Drs. 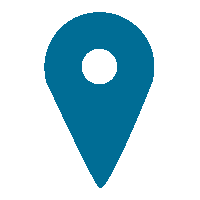 Sheldon, Sheldon, and Furtado will create a treatment plan, using high-quality materials and advanced procedures that will precisely fit your needs. Depending on the procedures that will be involved, we may create a model of what we expect your smile to look like after full-mouth rehabilitation. You’ll review this model with us and decide the form, shape, and color of your teeth. The choice is always yours. Our team often uses a computer program which provides a digital image of what an ideal smile would look like on your face. That way, you can see the potential of your new smile before having any work done. If you have missing, extensively decayed or compromised teeth, our doctors will devise a treatment plan designed to restore your mouth to full health, function and aesthetics. Our planning allows you a beautiful smile, renewed chewing ability and a comfortable, restored mouth. Implant-supported dentures are used when you have lost all your teeth or your teeth can't be salvaged. Our doctors have seen how a restored smile can lead to increased confidence, improved overall well-being and a better quality of life. So we take our work quite seriously. 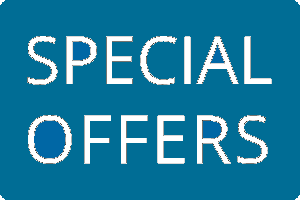 Our goal is to provide you with top quality full-mouth rehabilitation in a comfortable and friendly environment. There are various advanced procedures we can use to restore your oral health and give you a beautiful, natural-looking smile. 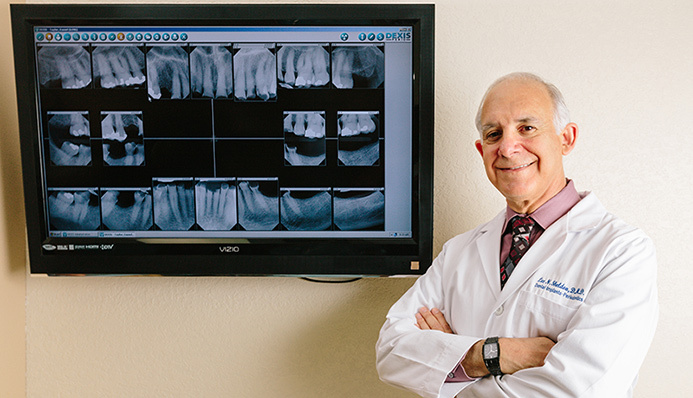 In all cases, we use our extensive experience to assess what is the best combination of procedures to use to create your new smile. 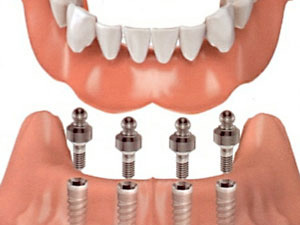 Dental Implant: An artificial tooth that’s anchored in the jawbone to replace a missing tooth. Implant-supported Denture: A type of overdenture that is supported by and attached to implants but is still removable. Implant-supported Bridge: An implant-supported bridge is a fixed dental appliance that replaces teeth without support from adjacent natural teeth. Denture: An artificial replacement for one or several teeth (partial denture) or for all of the teeth (full denture) in either or both jaws. Crown: A type of restoration that covers or “caps” all or most of the natural tooth. Bridge: A fixed dental appliance that replaces a missing permanent tooth or teeth, that’s normally attached to adjacent teeth to help support the missing tooth or teeth.